Some yet-to-be identified hoodlums yesterday shot and wounded Rev. Father Daniel Nwankwo immediately after morning mass at the St. Thomas Catholic Church, Onilekere, Ikeja Lagos. At about 6:30am during early morning mass at the church, it was gathered that some unknown hoodlums posing as worshippers took part in the morning mass. After the prayers at 08:30am, they allegedly requested to have dialogue with Father Nwankwo, who heads the parish. The Rev Father who unsuspectingly granted the hoodlums an audience outside the church auditorium for a yet-to-be determined reason was shot at by one of the hoodlums who spoke fluently in Igbo language with a locally made pistol. According to the Police Public Relations Officer, ASP Olarinde Famous-Cole, in a press release, when the Rev Father raised the alarm, the hoodlums jumped over the fence and escaped towards an adjoining canal. The Rev Father was immediately taken to the Lagos State University Teaching Hospital (LASUTH) for medical attention where he is currently being treated and under stable conditions. The Commissioner of Police Lagos, Imohimi Edgal, was at the scene and spoke with a witnesses who confirmed that three assailant, allegedly of Igbo background, who were not known to be members of the church, were seen having a conversation with the Rev Father before he was shot. The CP, who visited Father Nwankwo, spoke directly with him and confirmed that he was being given adequate medical care and he was recuperating fast. The CP also immediately ordered a crack team of detectives and operational officers from the police command who were dispatched to the scene and area leading to the canal where an eye witness confirmed the hoodlums ran towards. 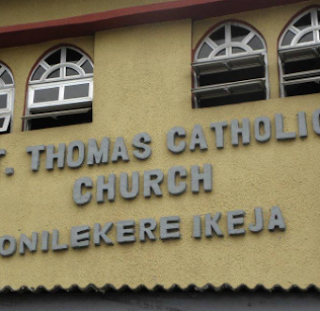 0 Response to "Hoodlums Shoot Reverend Father after Morning Mass in Lagos"